One hundred seventy-six delegates from Virginia, South Carolina, Georgia, Alabama, Mississippi, Texas, Arkansas, Florida and Tennessee, met at McKendree Methodist Church in Nashville for nine days to consider a possible course of action if the United States Congress decided to ban slavery in the new territories being added to the country as a result of Westward Expansion and the Mexican-American War. 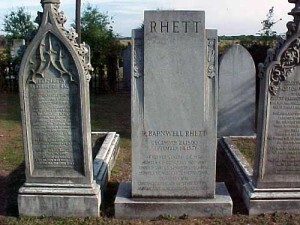 With the death of John C. Calhoun in March 1850, radical secessionists, called “fire-eaters” including Robert Barnwell Rhett, Maxcy Gregg, James H. Adams, David F. Jamison, and Daniel Wallace, demanded that South Carolina secede, regardless of the course adopted by other slaveholding states. Cooperationists, meanwhile, professed their willingness to secede but argued that separate secession would leave South Carolina isolated and impotent. The fire-eaters were extreme advocates of southern rights. They walked out on the Nashville convention in 1850. Most of this was in response to the Wilmot Proviso, a congressional proposal to ban slavery in the territory gained in the Mexican War, and the so-called Compromise of 1850, a series of measures maneuvered through Congress in an attempt to pacify both northern and southern interests. South Carolina secessionists brought their state to the brink of disunion but were disappointed by the growing acceptance of the Compromise of 1850 across the South. Procompromise Whigs and Democrats successfully played on party loyalty to wean southern states away from the notion of a southern party committed solely to the defense of slavery—a goal to which much of South Carolina was committed. The convention adjourned without taking any action against the Union, and the issue of secession was temporarily tabled. They are now using a very heavy gun, & the roar of the shells as they fly on their path of destruction is really awful. One struck quite close to the Steeple this morning just as I left, in Broad Street, between King and Meeting … Strange that these shells never give me a moments thought now. I hear them coming & they all seem a matter of course, & I pay no attention to them at all. Dr. David Ramsay married Martha Laurens. Ramsay had been married twice, and tragically lost both wives within a year of being married. Martha was the beloved daughter of Henry Laurens, former President of Continental Congress, and the first American imprisoned in the Tower of London (he was arrested by the British while acting as an agent for Congress raising funds for the Revolution in Europe.) Ramsay met Martha while he was researching his History of the Revolution of South Carolina. P.G.T. 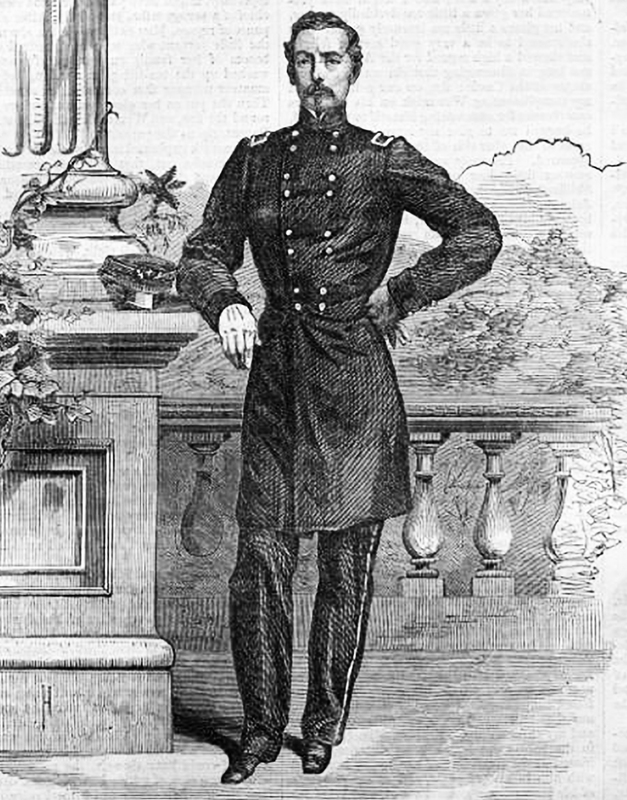 Beauregard was removed as Superintendent of the U.S. Military Academy at West Point. It was the shortest tenure of any superintendent – five days. His orders were revoked when his native Louisiana seceded from the Union. 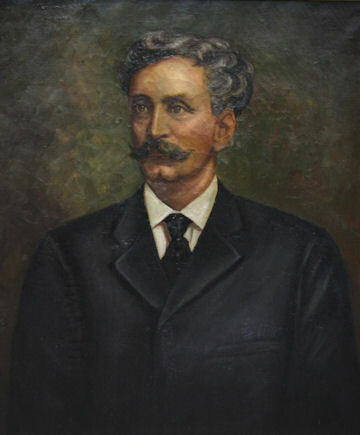 Beauregard protested to the War Department that they had cast “improper reflection upon [his] reputation or position in the Corps of Engineers” by forcing him out as a Southern officer before any hostilities began. Within a month he resigned his commission and became the first Brigadier General of the Confederate Army. He served in Charleston and ordered the firsts shots of the War be fired at Fort Sumter. The melted fragments of St. Michael’s bells were shipped to England by Fraser, Trenholm and Company. The bells for St. Michael’s were cast in 1764, by Lester & Pack in London. When the British evacuated Charleston in 1782 as part of their plunder, the eight bells of St. Michael’s were taken back to England. Shortly afterward, a merchant in London secured the bells and returned them to a grateful Charleston. In 1864, when Sherman made his march through the South Carolina, Charleston expected to be in his path, so the bells were sent to Columbia for safe-keeping. Sherman by passed Charleston and burned Columbia, the state capital. The shed in which the bells were stored was burned and the bells were reduced into molten slag. 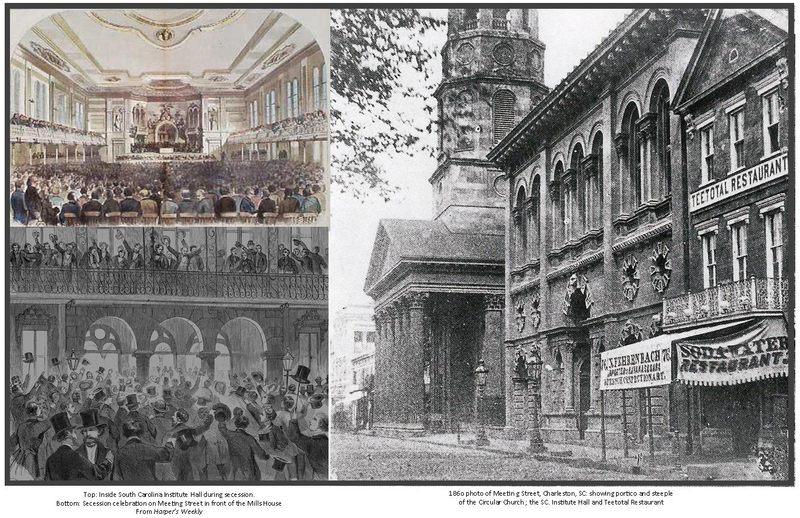 The metal was salvaged and the bells were sent to London to be recast by Lester & Pack – today in history.The bells were returned in 1868 and resumed their place in the church. In 1989, the bells were damaged by Hurricane Hugo in 1989. They once again were shipped to London for repair. They can be heard chiming in Charleston today on an hourly basis. King George II confirmed the charter of the Two-Bit Club at the Court of St. James. Soon afterward, the name was changed to the South Carolina Society and began including non-French members. Capt. Joseph Vesey returned to Charlestown with his wife, Kezia, their son John and Vesey’s personal servant / cabin boy, sixteen year-old Telemaque. The first theatrical performance in Charleston after the British evacuation was held in the Exchange Building. 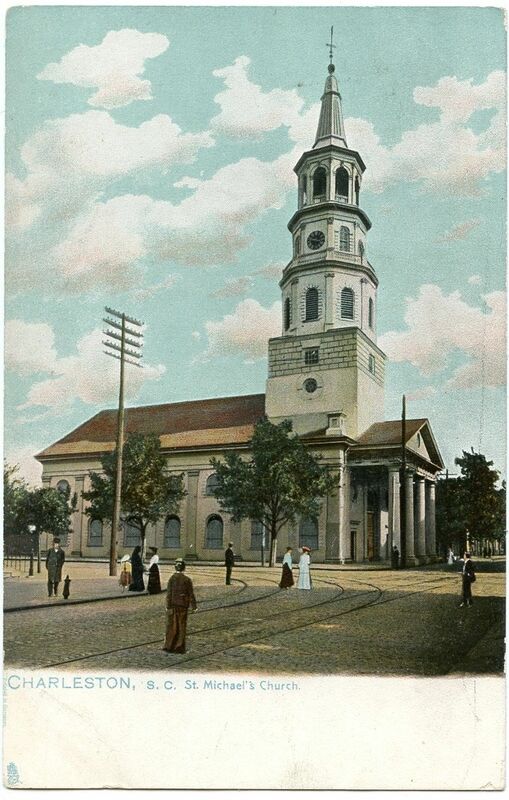 Perhaps thinking that the “Christianization [sic] of the city’s black labor force would have a stabilizing effect,” the white authorities ignored late night church meetings among all black congregations for many years. The South Carolina Jockey Club was formed. The Citadel, a military college, was founded in response to the Denmark Vesey rebellion. On this day, a secession convention meeting in Charleston, South Carolina, unanimously adopted an ordinance dissolving the connection between South Carolina and the United States of America. Click here to read the Charleston Mercury’s account of secession. The convention had been called by the governor and legislature of South Carolina once Lincoln’s victory was assured. Delegates were elected on December 6, 1860, and the convention convened on December 17. Its action made South Carolina the first state to secede. A teenager named Augustus Smythe procured a seat in the balcony of Charleston’s South Carolina Institute Hall on the night of December 20, 1860. Over the next three hours Smythe watched the members of the South Carolina legislature sign the Ordinance of Secession, officially removing the state of South Carolina from the Union and establishing an independent republic, ultimately called the Confederate States of America. The raucous celebration after that historic event spilled into the Charleston streets, with men whooping, drinking whiskey and shooting pistols in the air. Smythe had the calm foresight to make his way through the crowd to the stage and remove the inkwell and pen which had been used to sign the Ordinance. These items today are in the collection at the Confederate Museum, housed in Market Hall on Meeting Street.